This article is strictly related to the two previous ones already analyzed in depth that are hip flexors and back/lower back. BICEP FEMORIS (LONG HEAD): as you can see from the picture above it’s made of two parts, the long head and the short one. 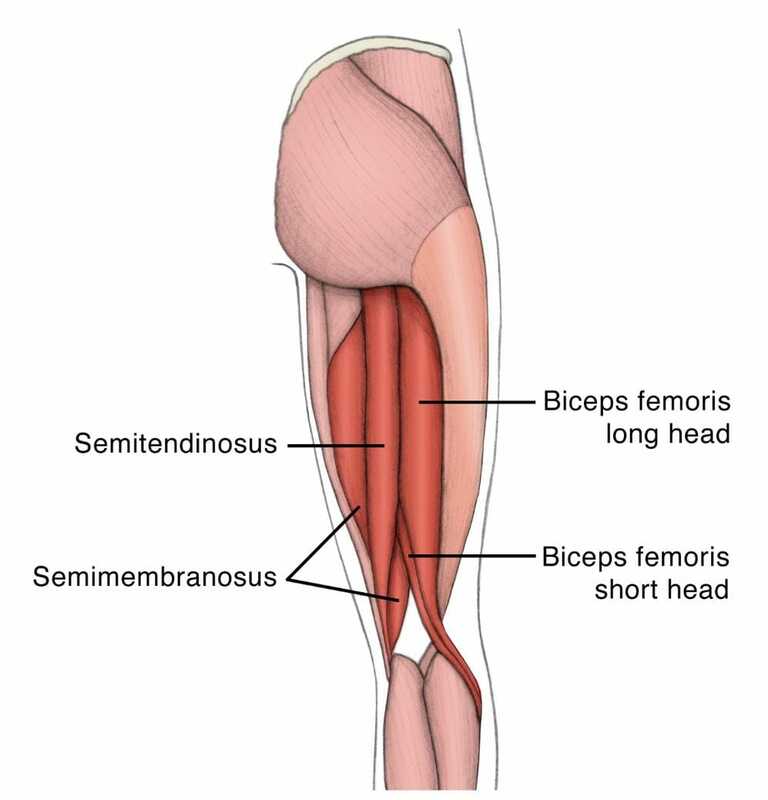 SEMITENDINOSUS: it’s named like that due to the fact that it has a very long tendon of insertion in the rear thigh. Together with the other two main hamstring muscles such as bicep femoris and semimembranosus, the three of them are responsible for knee flexion and hip extension. SEMIMEMBRANOSUS: it’s named like that because it has a flat tendon of origin and its main function is to extend the hip joint and flex the knee one. Hamstrings are often mentioned together with hips and back muscles, as the groups mainly responsible of favoring a good flexibility overall. 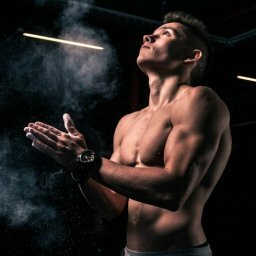 Most of the stretching exercises we have seen until now, thanks to the previous articles as well as what we are going to see now, are often targeting directly or indirectly such muscle groups. The idea is that, whenever you think of stretching exercises for your back/lower back or for the hips, directly or indirectly the action of stretch targets also the hamstrings partly or entirely. That is why, even if you decide to build a routine for increasing the flexibility of these areas, keep in mind that is a whole work the one you do, not isolated for ”compartments”. HAMSTRING SCISSORS STRETCH: from a standing position, keep your back and legs straight opened into a scissors position and slowly lean forward until you reach the point of tension in your hamstrings so to begin the stretch. Make sure to hold the position of stretch for 10-15” seconds maximum, then release and go on to the next hold; remember, you don’t wanna stress the muscles, but stretch them. HAMSTRING STRETCH (LAY SUPINE): a very common exercise that is usually performed by laying supine down on the floor. It can be performed with the assistance of a towel, a resistance band, a partner or, where possible, of a wall. Such stretch implies the extension towards the ceiling of one leg at a time; while keeping the leg up and by using an assistance such as a towel or a resistance band, place them on top of your foot sole, so to have a solid pulling point. KNEELING HAMSTRING STRETCH: another important stretch that can be performed without any assistance, but just by kneeling on the ground with one leg while the other one extends in front of your body. Place both hands to the sides of your hips and slowly start to lean forward while keeping head up, back and leg extended straight so to favor a deep stretch in the hamstrings. JEFFERSON CURL: in my opinion, a very effective hamstrings stretch exercise that is performed by using a small weight as an assistance. Start from a standing position on top of a cube or plyometric cube or more in general an elevated surface with enough range that allows you to bend over with your back and go below the line of your feet with your hands. Grab a barbell or kettlebell (you can choose the weight, but I recommend around 12-16kg would be enough) and from the top of the cube let’s say, slowly bend over letting the weight of the barbell/kettlebell dragging down your upper body into a deep pike stretch. The goal is to breathe with your diaphragm and relax your back and hamstrings so to favor a stretch that reaches a point below the line of your feet. GOOD MORNING STRETCH: this exercise is very well known to be a very effective one for working on glutes as well as hamstrings strengthening. It can be seen also as a sort of hamstring stretch if performed without any load, but maybe just by using a PVC or a stick upon your shoulders to help the movement. By starting from a standing position, place your feet shoulder-width apart and start slowly to bend over with back and legs slightly bent while holding a stick or PVC pipe upon your shoulders. After reaching the point where your upper body forms a straight line parallel to the ground, hence that should be a fair point of stretch, come all the way back to the top and repeat. STANDING LEG SWINGS: a clear example of static active stretching exercise that, in this case, targets the hamstrings. Place one hand onto a wall or grab a pole for instance and keep one foot solidly firm on the ground. HAMSTRING-CALF STRETCH (LAY SUPINE): this exercise targets both hamstrings and calves. In this case, start from a supine position laying on the ground, raise one leg bent towards your chest and place both hands in the back of it so to increase the intensity. Once you reached the furthest point, extend towards the ceiling the same leg, keeping both hands always in the back of it; the leg is never extended completely, but bent and always pulled towards the chest, from here you want to point the tip of your toe in direction of your face and hold the position. This list of exercises is far smaller than the previous ones we showed you for the main fact that, as I anticipated at the beginning of this article, part of the exercises that are directly or indirectly targeting the hamstrings were already analyzed in the past articles. Make sure to combine always the different types of stretches, either static active and passive, so to combine and create very effective routines and sequences that will help you to improve and increase your overall flexibility and mobility.